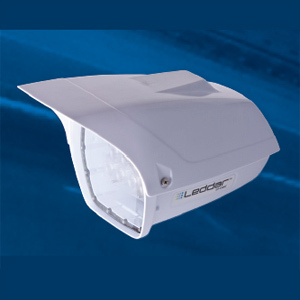 Leddar™ d-tec 2.1 Traffic Sensor - J.O. Herbert Co., Inc.
Based on the principle of the time-of-flight of light, the Leddar™ d-tec sensor emits non-visible light from LEDs (light emitting diodes) into the area of interest and measures the time taken for the light to reflect off of objects and return to the sensor. This provides very accurate 3D information that enables the sensor to precisely detect vehicles of all dimensions, including motorcycles and bicycles. In addition, since the acquisition of information is compiled thousands of times per second, the Leddar™ d-tec system provides very robust detection in adverse weather and lighting conditions. Using industry-standard Power over Ethernet (PoE) technology, the same cable provides both power and data communication to the Leddar™ d-tec traffic sensor, eliminating expensive coaxial and power cable installation.